has built a reputation for delivering the most customized SIPs on the market. That is why we are the “builders’ choice.” Earning industry respect and repeat business from builders does not happen by chance. It is developed over time by a conscientious team which brings their “A-game” each and every day. At Enercept, producing a quality product and quality customer service are always top of mind. Whether you are building a residential home, a commercial building or an agricultural structure, Enercept offers cost-efficiency, energy efficiency, improved air quality — and the latest in green building construction. The Enercept team and nationwide network of dealers and builders are ready to bring environmentally friendly, worry-free framing and insulation solutions to you. Buildings impact both the environment and the people within them. Sustainable or “green” building design and construction is a method of wisely using resources to create high-quality, healthier and more energy-efficient homes and buildings. A focus on ensuring less energy and water use, better indoor air quality and a reduced impact of a building on the site it occupies are all elements of green building. While LEED® is identified with “going green,” green building has been a hallmark of Enercept’s building practices since 1981. Enercept helps its customers get Net-Zero-Ready with its high-performance products laying the green foundation for your next steps. insulated building systems available, according to SIPA. A superior building envelope means high thermal resistance with minimal air filtration. 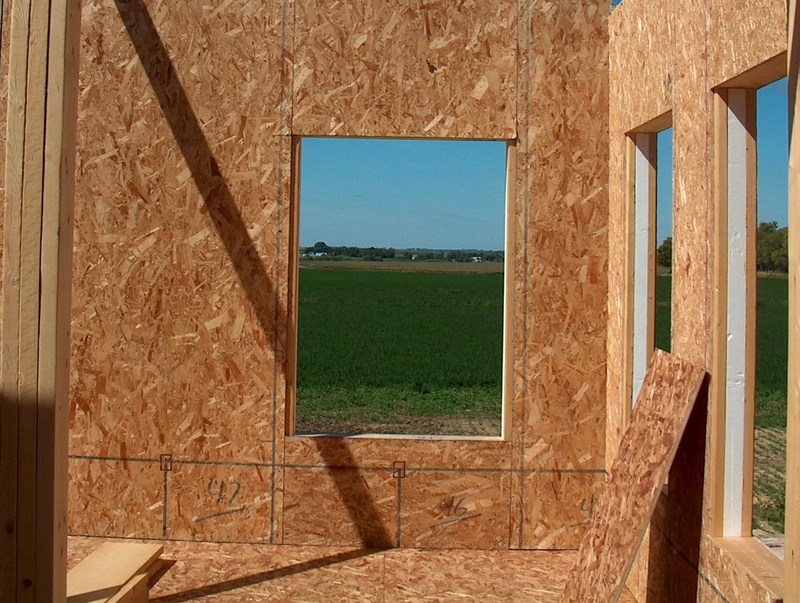 Our panels are made with oriented strand board (OSB) that is produced from fast-growing, less expensive trees grown on tree farms, promoting tree conservation. Less on-site waste means less stress on area landfills. Energy savings of up to 60% compared to conventionally built stick structures of similar size. Enercept structures are airtight, reducing the unwanted transmission of outside allergens and dust and creating a healthy home environment. These panels are designed to withstand the harsh conditions found below-grade. Whether structural or simply providing a skin for an existing roof system, our roof panels provide superior insulation, durability, connect easily and provide continuous insulation. Where code allows, roof panels may be pre-wired. 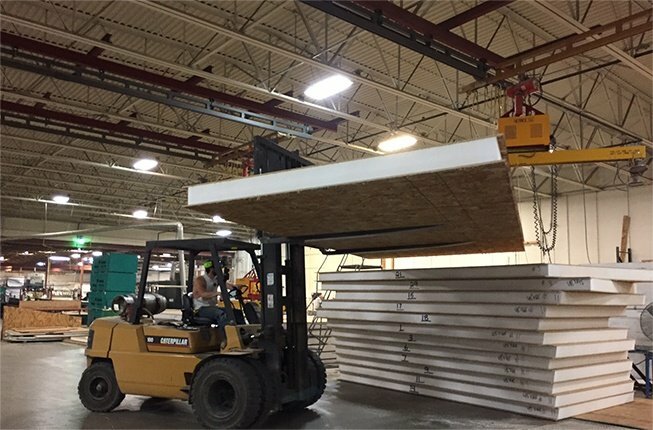 Our wall panels install quickly and easily. Even builders who've not used SIPs before marvel at the simplicity of the process. 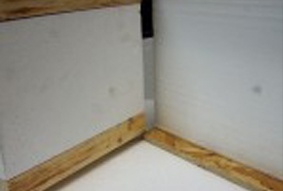 Wall panels can be ordered with factory-cut rough openings or can be cut on site. Enercept panels ... a better way to build. Check out the types of panels we offer, features and benefits of building with Enercept SIPs, our patented design, and how we compare to both other SIPs manufacturers as well as how SIPs stand up versus conventional construction. 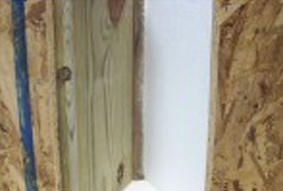 Our patented insulated connecting posts, sustainable OSB skins and EPS foam, our panels are simply the best available. Find out about the life of an Enercept project, from start to finish. Our caring and knowledgeable staff are here for your every need. Want to see the data? Click here to see technical information regarding R-Values, Code Reports and more. Unique features, ease of use, design flexibility and energy efficiency make Enercept panels an effective solution for a wide variety of projects. See the videos below for more details. We're dedicated to delivering the highest quality customized panels to our customers. 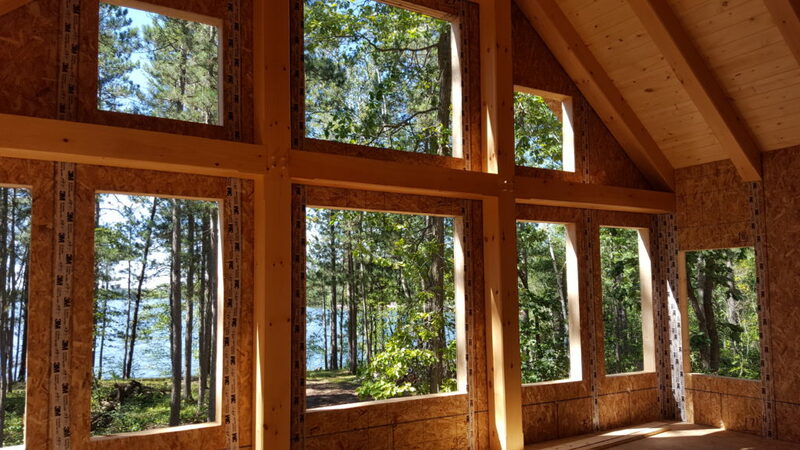 Whether your design is a cozy cabin, a sprawling structure or something in-between, Enercept is committed to providing outstanding service and quality. Having been a leading manufacturer of SIPs for more than 35 years, we draw on our experience in the industry to enhance your experience throughout the lifespan of your project. As your idea develops from concept into reality, we're committed to being there to answer questions, bring your ideas to fruition and ensure your new structure serves you well for years to come. Quite simply, our panels are exceptional. Not only is each one fabricated to exact specifications of varying design, Enercept panels feature an innovation which is unique to our SIPs. 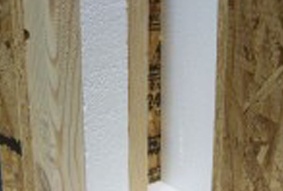 We are the original holders of the patents for our insulated connecting posts, which virtually eliminate thermal bridging. Our patented design means faster, easier, stronger and more energy-efficient construction ... and a superior end result. "Enercept supplied the Structural Insulated Panels (SIPs) for both the house and the garage. They are excellent people to work with and have a very well designed product." "We are very, very pleased with your product. We had all of our exterior framing done in a single weekend. The panels were made perfectly and are truly a quality product. We proudly displayed your sign at our construction site and will recommend your product." "Enercept produces high quality panels and all the essentials to get the job done right. 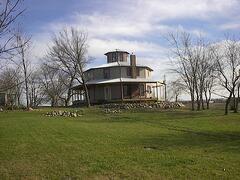 I was referred to a very high quality installer who met all my expectationse." Are you ready to take the next step toward building with SIPs? 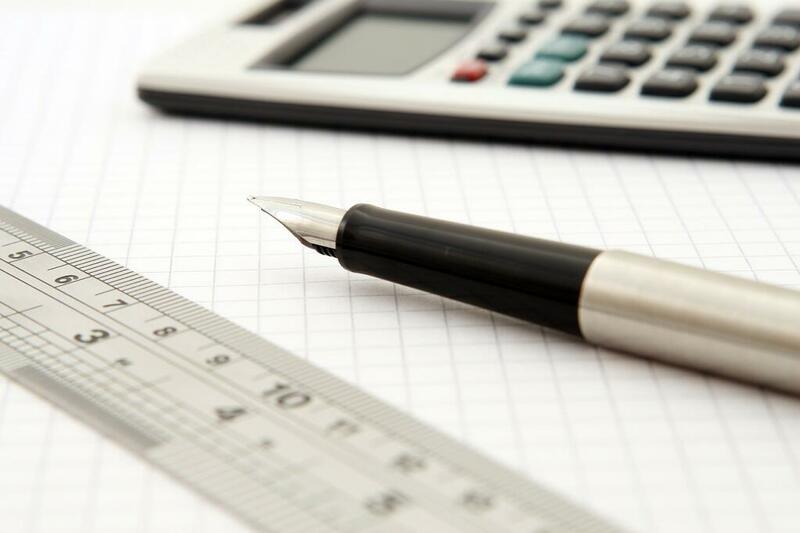 Let us know the details of your project; we'd welcome the opportunity to hear more and prepare an estimate for you.